I always had a very intense interest in the psychic/intuitive realm as early as I can remember. However, I didn’t display those classic symptoms that so many psychics I had read about in books did. I couldn’t remember a single spooky or miraculous experience that had happened to me that so many famous psychics talk about in their autobiographies. No angelic bedside visits or prophetic visions to speak of - only a vivid imagination and a "knowing" that I was connected to unconditionally loving Source energy/God/The Universe. Was I a complete fool for wanting to develop these abilities within myself? Of course not! I knew there was a strong psychic/intuitive self that was somehow buried deep inside me. I also knew that I wanted to work professionally somehow in the intuitive field. Driven by these goals, I found psychic development classes through internationally known Clairvoyant Dr. Lauren Cielo, whom I found through an interview on Gaia.com. Something completely resonated in me and screamed "YES!" After just a few classes, I was completely hooked. I was finally re-connecting with my psychic self. I was working with my Spirit Guides, practicing psychic readings with fellow students, and developing a strong meditation practice. Within a year I was taking my first clients and doing psychic readings from my home part-time. Every moment I spent working on my intuitive biz was bliss, and I was actually working on something I was passionate about. All it took for me to make the leap from amateur intuitive to professional psychic was the proper training to tap into my natural ability. Our physical bodies and Chakra system are naturally built to "read" energy. If you have the interest and commitment, along with a healthy dose of play and amusement, that’s enough to tap into your own abilities. Ready to dive in head-first - and jump-start your psychic abilities in a fun, safe, supportive environment? Whether you want to merely explore the Universe in a brand new way and have fun, or learn some amazing tools that can help you take your intuitive biz to the next level, there's something for everyone! How to properly ground your energy, and connect to high-vibrational, creative, cosmic energy. To protect your own energy field and take charge of your own space. To work with your Spirit Guides and Angels, as well as meet a very special Guide to help you in your personal journey of reading and healing yourself and others - the Healing Master! To psychically read the physical body, Chakras, and Aura. You *want* to be psychic, but you don’t feel you are. You already have some intuitive ability, and you want to further develop it. You are already an intuitive healer looking to expand your professional services and offerings. You identify as an Empath – you take on the energy of other people, and want to take charge of your own energetic space and healing. I trust Alexander Kriech’s intuitive skills and have gained clarity, confirmation and direction from them. I notice my body and senses are relaxed and receptive during my readings; a solid sign for me that I can lean into his guidance. I experience creative inspiration and confidence moving forward with my life decisions following one of our sessions and excited for what’s ahead for me! I want to say, thank you, Alex, for the readings you have done for me over the last couple of years. I have been hosting psychic expos for 10 years so I know many in the industry, but you are one of the top notch readers. I can always rely on you to give me clear and positive information to help me anytime I am feeling stuck and or very confused. Every time I chat with you I walk away feeling very positive and very optimistic. Thanks you embracing your gift and offering to me and the world. Once you complete the program, you can continue on to more advanced classes and training, including being able to meet with other students to practice your skills. Ready to sign up? Classes begin the first week of August. 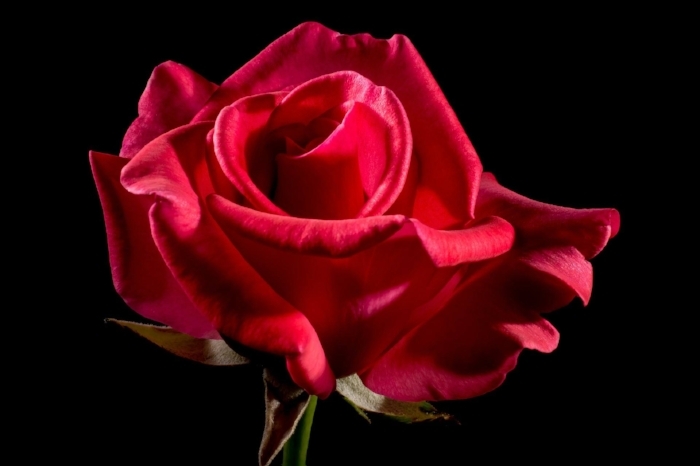 The Rose - a sacred healing symbol, and an invaluable psychic tool you'll learn in my Beginner's Psychic Development program!